In this article, you will find best and tested ways to clean car touch screen. Before going into the details, let me share a story with you guys. It is 2 am in the morning and I have just finished cleaning my car touchscreen. We were coming from a party and my daughter just cleaned her hands with the car touchscreen. She was eating an apple pie that resulted in the strange looking screen. Now I just love my car and the same goes for the car touchscreen. I have Audi A4 and I just love it. There was no chance that I was going to wait for the morning and then clean the touchscreen. 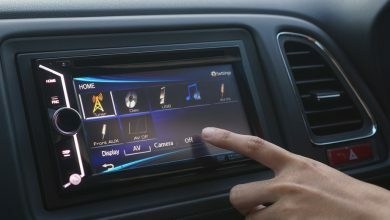 Now that I am done cleaning the screen, I decided to write an article about you can clean your car touchscreen. I call touch screen as the main face for the interior. It has to be shiny and bright. I have seen many drivers, who are just clueless about how they can clean car touchscreen. 1.1.1 How to Remove Fingerprints from the Car Touch Screen? 1.1.2 How to Remove Sticky Substances from the Car Touch Screen? 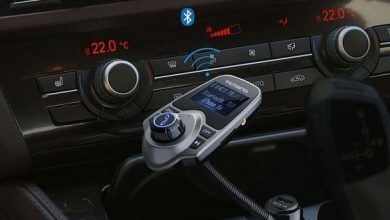 Here, I will explain in detail how you can clean your car touch screen easily at home without any special tools or gadgets. I recommend maintaining a clean touchscreen if you want better results. Different people use the car touch screen for different reasons, whatever reason you have, use it properly. Without a clean touchscreen, you will not be able to enjoy the quality video for songs or even rearview camera. To clean car touchscreen, you can use a soft towel with glass cleaner to remove any dust or stick material at the screen, Inorder to remove fingerprints, use a soft brush to fade away these fingerprints and then use a liquid wipe to give shine to the touchscreen. Remember never to rush while you clean car touch screen. Here, I will discuss different ways to clean your car touchscreen. 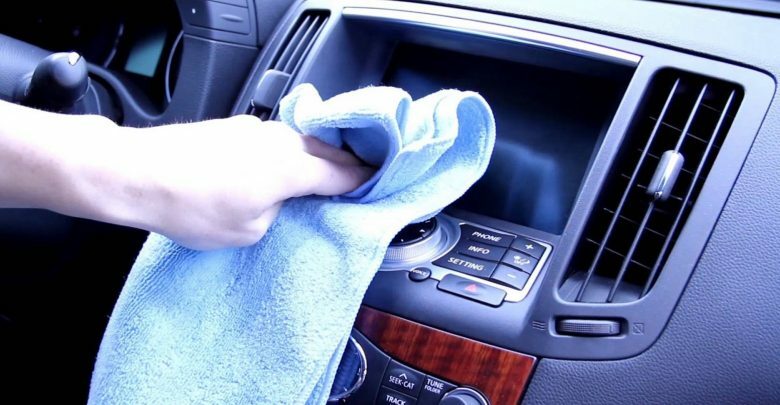 In this car cleaning guide, you will learn how to safely clean the infotainment screen of your car. Before starting the process of cleaning, ensure that the car is turned off with keys out of the ignition. This will allow all pixels to fade away and you will be able to notice all the dust more clearly. Turning off the engine will make the screen darker that will help to clean in a better way when you have a dark screen. We will be using a super soft microfiber cloth for the cleaning of the car touchscreen. These touchscreens should be cleaned in a proper way. How to Remove Fingerprints from the Car Touch Screen? Normally you can observe the fingerprints stuck to the touchscreen. On the screen, it is difficult for many of us to clean. Use a soft brush, with this soft brush you can fade away fingerprints on the screen without even touching the screen. You can use a car compound to clean the touchscreen. It will only clean any greasy substance attached to the touchscreen but it will remove the majority of the germs at the screen. How to Remove Sticky Substances from the Car Touch Screen? If the car touchscreen has more sticky substances than I recommend using liquid wipes or liquid tissues. Now, these liquid wipes are commonly available in the market. You can also buy it fro online stores. Gently apply these wipes to the screen and move it from one end to other. It will remove all sticky or greasy materials and give a genuine shine to the car stereo screen. I am using this method for years and it keeps my car screen like a new touchscreen. You can also use glass clean with a small soft towel to remove any remaining dirt or greasy material at car touchscreen. I recommend using a small soft towel, you can directly apply the glass clean to the towel and then use that towel to clean the screen. Gently brush that towel to the screen and it will amaze you with the results. The end result will be a shining and glowing screen that will amaze you with the video quality. 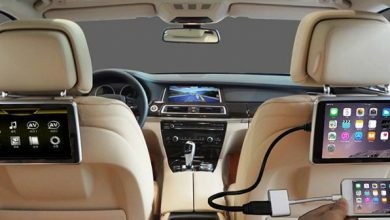 NOw if your car touch screen is filled with dirt and messy substances which are not going with any of the above-mentioned methods. You can also use different sprays that are now commonly available in the market. Also, you can use alcohol-free cleaning solutions to wipe away any remaining dirt on the touchscreen. Never use household cleaning liquids or simple alcohol, these can damage the screen. 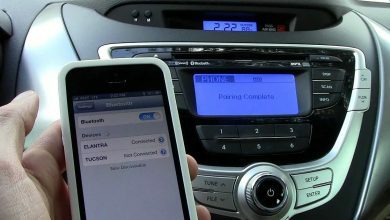 Read this guide if you are planning to add Bluetooth to car. I strongly suggest not to use paper towels to clean the touchscreen. You must not use cotton rags or anything like that, it will just damage the screen and can make scratches. Never use abrasive substances to clean the touch screen, these will only harm the screen. Always use a proper soft towel with microfibers along with liquid wipe or glass cleaner. I have already given details of different methods that can be used to clean a car touchscreen. You must be careful while cleaning with any sort of liquid. Ensure that no liquid should enter in any ports on the dashboard, once you are done cleaning wait for the liquid to dry before starting the car. If you are using any solution containing alcohol, it will just damage the screen, you should be using alcohol-free liquids. Never use a paper towel to clean the car touch screen, using a proper micro-fiber towel is recommended. Never use tissues that we use to clean face or hands, the liquid wipe is a totally different thing that is used for cleaning screen. Some people mix it with the regular liquid tissues. 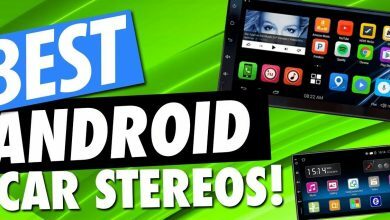 Read this guide about installing a car stereo. You can also use a dryer to blow away any dust particles that remain trapped in the corners and the sides of the stereo. Maintain a regular schedule for cleaning the screen if you want it to shine forever.